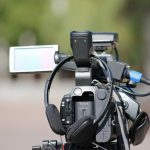 If you are a professional videographer or just a hobbyist, then you will require the best camera for the job. While different people disagree on which is the best camera, especially when it comes to taking videos, the Panasonic AGDVX 100 is undisputedly one of the best available in the market today. In this article, we will describe the Panasonic AGDVX in depth, show you some of the features that make it one of the best cameras, tell you how much you can get it for, and compare it with some of the best cameras available in the market today. 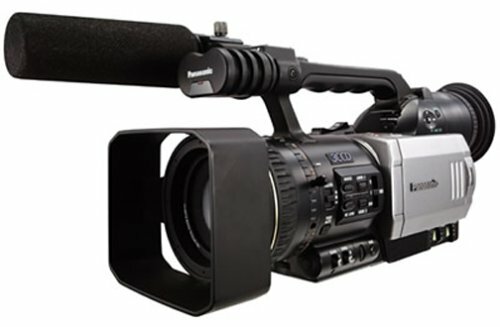 What Is the Panasonic AGDVX 100? 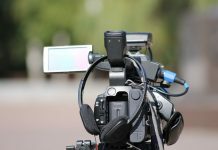 The Panasonic AGDVX 100 was designed to be lightweight yet well balanced and can record some of the best videos for professionals. It delivers great quality images with the wide-angled lens and is extremely sensitive. The controls of this camera are manual-oriented to satisfy professionals. In addition, some of the features of the camera make it the best in visual production. If you love shooting videos for weddings, You Tube, live events or even for news coverage and you want a small yet balanced camera that you can easily carry around and still enjoy full operation control, then the Panasonic AGDVX 100 will not disappoint. Panasonic AGDVX 100 comes with a 3CCD RGB system which comprises three 1/3 inch, 410,000-pixel progressive CCDs which have been specially designed for professional applications and broadcast. To achieve F11 sensitivity, the camera has been designed with a new on-chip which allows the Panasonic AGDVX 100 to record in very dim light below three lux. You can record at night and still get great quality pictures with a high S/N ratio which means less noise in some dark parts of the image and low smear in case you decide to shoot under bright spots or in sunlight. You can purchase this camera for around $350 to $400 at a digital store near you or, more conveniently, you can order one on Amazon. You can buy this camera on Amazon for around $350 to $400. The Panasonic AGDVX 100 comes with a Leica Dicomar lens and a soft eyepiece each on different ends of the camera which give it a great look. From the front of the camera to the back is the DVX 100 handle which makes it easy to control with one hand while holding it. On the left side of the camera is the LCD panel and below it are two dials which are used to control the audio levels manually. 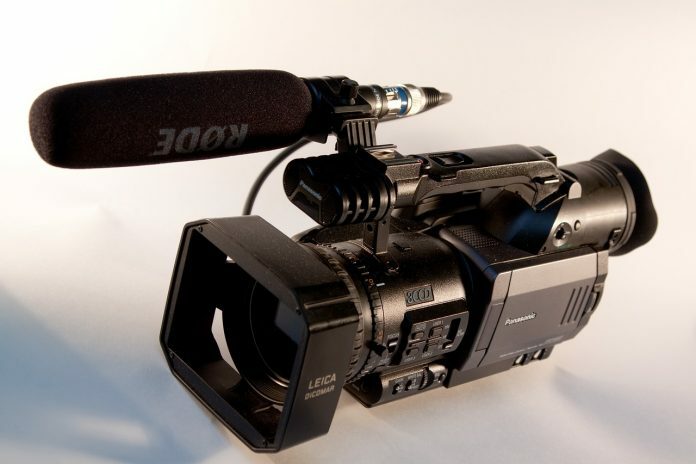 The analog video inputs and outputs are located on the camera’s right side together with two large XLR connectors used for microphones and a FireWire port. Located at the back of the camera is a small dial used when you want to quickly change shooting modes from the standard NTSC interlaced video to the 24p. The Panasonic AGDVX 100 produces great quality videos with the 24p features in whichever mode you decide to shoot in, especially if you are after a movie film-like motion and look. The 30p and the standard 60i produce great quality images too in the event that you want to try them out. The 24p mode images can be 2:3 pulldown–converted or 2:3:3:2 in the 24p advance mode pulldown-converted. The focusing mode of the camera can be manual or automatic and is fast and sharp to produce great quality images. The focus ring in the manual mode provides responsive control which is the same as conventional professional cameras which come with interchangeable lenses. The body of the Panasonic AGDVX 100 weighs around four pounds when it is in full operating condition. This makes it easy to carry with you while you are shooting and because of its small body, you can fit it into one hand and change the setting with your other hand. The dials have been strategically placed at easy to reach points too. This camera comes with a 1-year warranty. The first in the Fujifilm X range with the in-body stabilization (IBIS) feature is the Fujifilm X-H1. It is one of the top X-mount APS-C based cameras and can shoot in both UHD 4K and DCI 4K video. It comes in a durable and robust body which has been newly designed with various features. With this camera, you are able to shoot in various sceneries and still get the best images. It is loved by pro photographers, videographers, and enthusiasts alike and has a 5-axis in-body image stabilization which can reach a maximum of 5.5 stops. To enhance the quality of indoor sports photography, the camera comes with a flicker reduction mode. It features a 24MP APS-C sensor X-Trans CMOS III which ensures the images delivered are of a high quality. The camera can minimize false colors as it uses an aperiodic color filter which works without using the optical low-pass filter. It has XF lenses which have been specially designed and when combined with the aperiodic color filter the sensor can achieve great performance. You can buy this camera on Amazon for approximately $1,200 to $1,400. 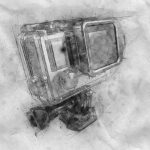 This camera comes with an X-Processor Pro processing engine able to draw out the X-Trans CMOS III high-performance sensor to its maximum capabilities. It comes with a large built-in memory and advanced processing power which boosts the camera’s precision performance and speed in shutter release time lag, interval shooting, AF, live view display, continuous shooting etc. The processor supports the boost mode for the camera’s vertical power booster grip. It can enhance the camera’s performance by a considerable amount. It comes with three adjustable parameters which are used to determine the focus characteristics and makes tracking moving subjects in the AF-C mode easier. You can change the focus point selection in eight different directions using the focus lever. Positioned where your right thumb is placed you will find the AF-ON button to enable adjusting of the focus point while the index finger concentrates on the shutter release actions. It comes with a leading 3.69-million-dot high-resolution electronic viewfinder which has a magnifying ratio of 0.75x and 0.005 sec time lag. Also, the camera comes with a refresh rate of up to 100fps and is 1.6 times brighter than the previous models. It enables focus adjustment and capture of the subject and the eye sensor is used to switch automatically between the viewfinder display and the rear monitor display. The film stimulation mode enables you to apply tones and colors to your pictures and this camera comes with sixteen modes which have been uniquely created and developed. This camera is bigger and heavier than the previous models, the XT2 and XPro2. To accumulate the in-body stabilization system, this mirror-less camera comes in a larger body. If you love large cameras, then the Fujifilm X-H1 will not disappoint. Due to its large size and weight, you may get tired of carrying this mirror-less camera all day. The location of the dials make it easy to use without having to stop what you are doing and you can view the videos you are shooting in the tilting LCD screen. This camera comes with a one-year warranty. This mirror-less camera has been optimized for low light performance and movie recording. It has 10.28 MP Digital live MOS sensor, DCI and you can record UHD 4k videos up to 60p. The large pixel size makes the low-light performance impressive with an ISO of up to 204800 together with a dual native ISO technology at ISO 400 and ISO 2500. It comes with a Venus engine which has been updated and a sensor. Also, to enable faster readout speeds is the processor combination with 1.3x less rolling shutter distortion as compared to the GH-series. This camera can be bought on Amazon for approximately $2,200 to $2,400 . Videographers love this camera because it is very easy to handle. As its appearance is the same as the GH5, most people find it easy to use and can easily change from the GH5 to the GH5S. Though the resolution offered is low, the images produced are good. The camera comes with extended sensitivity range with less luminance. The 4K resolution offered by the camera is great and with the pre-installed V-log L you can capture more in the highlights and shadows as the camera is put in a log picture style. 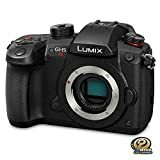 This camera weighs the same as the GH5 model and they are both identical in appearance apart from a red ring which surrounds the shooting mode dial of the GH5S. If you have used the GH4/5 model, this will be easy to use as they have a very similar design. It is a bit heavy hence it may result in some pain in your shoulders if carried for long periods of time. This product comes with a one-year warranty. 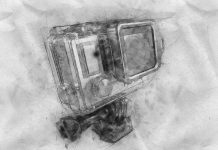 Even under very harsh conditions, this camera can bring out the best image quality. It offers very fast shooting speeds of up to 10fps with accurate and continuous AF tracking. In addition, the resolution imaging with the 42.4MP is outstanding, and to collect more light is the Exmor R CMOS sensor with on-chip lenses which are gapless. This camera can be bought on Amazon for around $3,000 to $3,300. This camera comes with the shutter button located just on top of the handgrip and the command dial in the camera's front too. This makes it easier to shoot videos and still manage to change the camera settings. For powerful shooting support, this camera comes with a high-resolution Quad-VGA OLED Tru-Finder which is used to provide great images with the high-precision viewfinder. It comes with an ISO of 100-32000 and it can be extended to 50-102400. In the mid sensitivity, the noise cancellation is unlike most cameras. The processing speed is boosted by the LSI and the BIONZ X and the 42.4MP full frame Exmor COS sensor ensures the quality of videos taken is great. 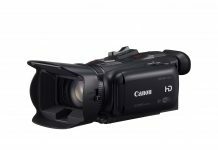 This camera comes in an attractive design that is loved by professional videographers and pro photographers alike. It is easy to change the camera settings and features without having to stop what you are doing which makes it very convenient to operate. The Panasonic AGDVX 100 is one of the best cameras available in the market. Because of the unique features we have mentioned in this review, we give it a four-star rating but it can still improve on some of its features.